Locatia The room was clean, the host was friendly. Incredible value for money, large modern apartment, close to the station and the City. Netter Kontakt, persönliche Übergabe, viel Platz in guter Lage. Muy buenas combinaciones para llegar a cualquier parte de la ciudad.Decoraciòn con mucho detalle ,muy limpio y el personal excelente. Очень уютная квартира на 6 этаже многоквартирного дома. Расположена рядом с центральным железнодорожным вокзалом. 15 минут до аэропорта. И в трёх станциях метро от центра города. Есть все, что необходимо!!! Замечательно!!! Мы в восторге!!! Приветливые ребята передали ключ в установленное время. Very comfortable apartment on the 6th floor of an apartment building. Located near the central railway station. 15 minutes to the airport. And in three metro stations from the city center. There is everything you need !!! Wonderful!!! We are delighted !!! The friendly guys handed over the key at the appointed time. Близкое расположение от метро и от вокзала. В принципе все неплохо. Пользовались микроволновой и чайником-все работало. Душ работал, горячая вода есть всегда, потому что стоит колонка. Le métro est à 100 pieds de l'appartement. Nous pouvions nous faire des repas car il y avait de l'équipement. 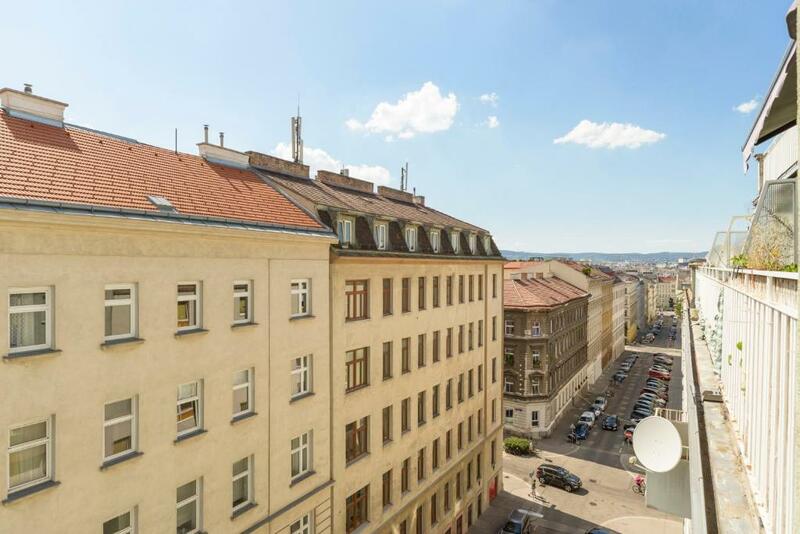 1.2 miles from Belvedere Palace, Kriehubergasse by welcome2vienna is located in the 05. Margareten district of Vienna. 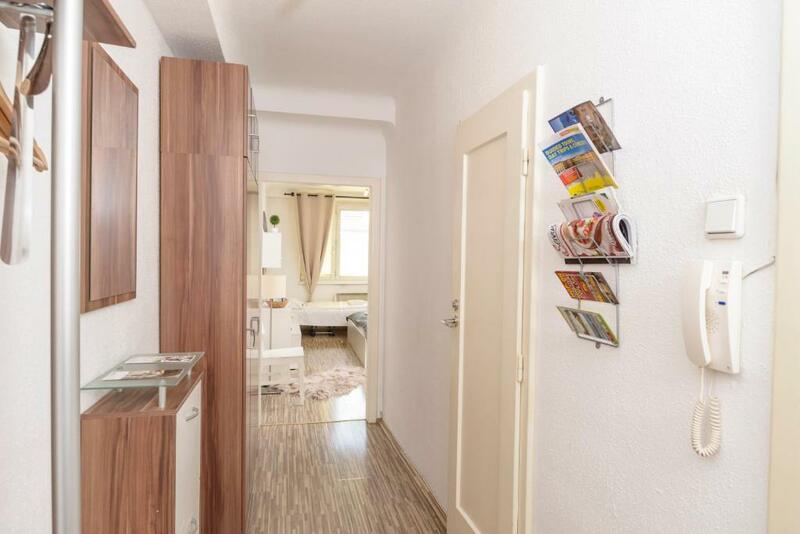 This property is 1.5 miles from Karlskirche and has free WiFi. The apartment is composed of 1 separate bedroom, a fully equipped kitchen, and 1 bathroom. A flat-screen TV is provided. Haus des Meeres is 1.6 miles from the apartment. 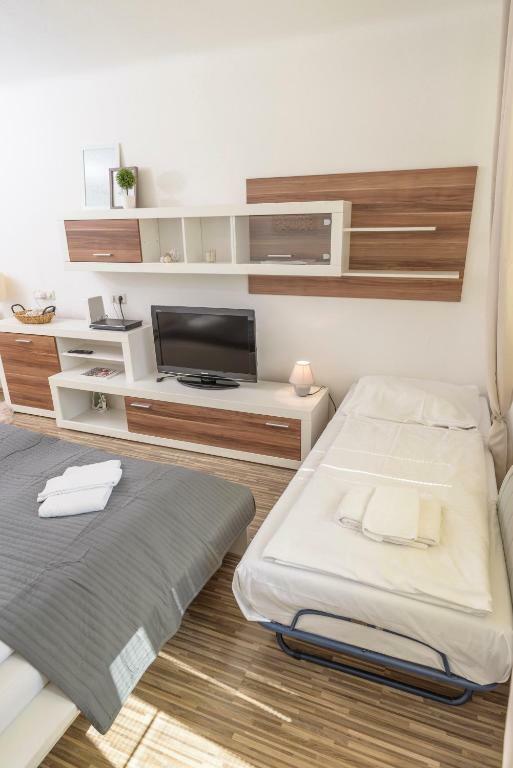 The nearest airport is Schwechat Airport, 12 miles from Kriehubergasse by welcome2vienna. 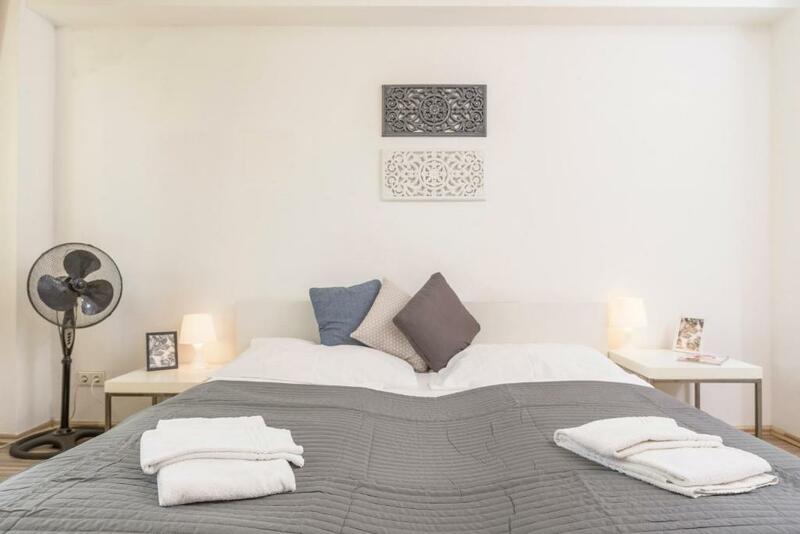 When would you like to stay at Kriehubergasse by welcome2vienna? 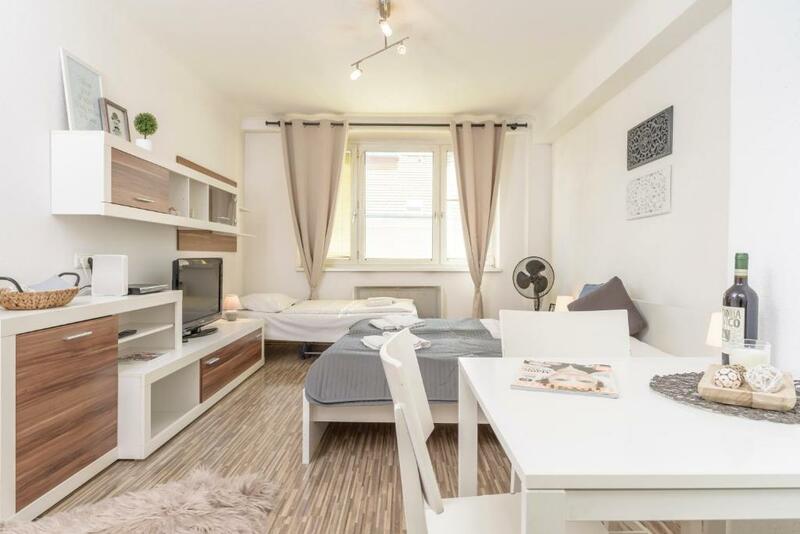 This nicely decorated 32 squared meter apartment can comfortably accommodate up to 3 people, two on one comfortable double bed and one on the convertible sofa bed. The kitchen is equipped with basic amenities enable our guests to prepare light meals before or after a day of exploring the city. Wifi is available and provided free of charge through out the apartment. Airport shuttle can be arranged upon request. 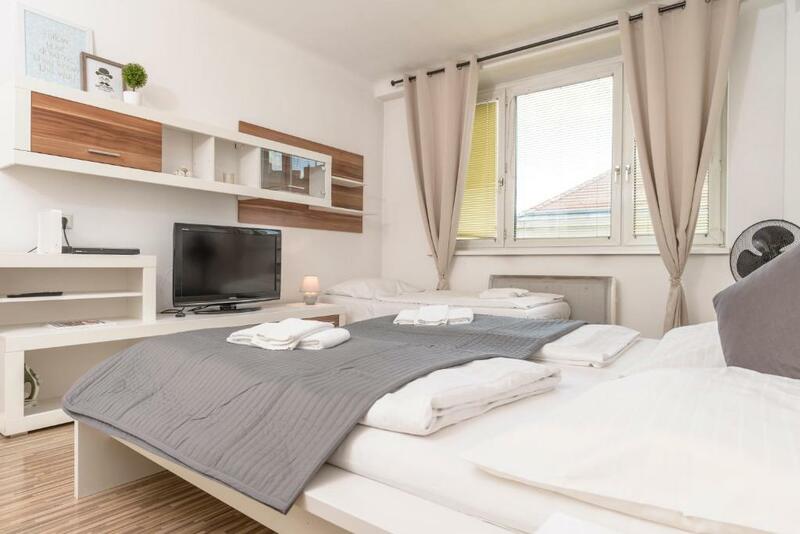 Welcome 2vienna is relatively young project with the main idea to create ‘home away from home’ for travelers, offering number of services to help make their stay as enjoyable and delightful. Our vision is not just to provide accommodation, but to offer warm welcome to everyone who comes to explore our wonderful city! We are a very vibrant, multicultural team of people who work close together to make your experience of Vienna pleasurable and gratifying. With the main agenda to create a forthcoming and trustworthy relationship with customers our team stands prepared to meet your needs requests, wishes and preferences. The apartment is located at the corner of Kriehubergasse and Margaretenguertel. 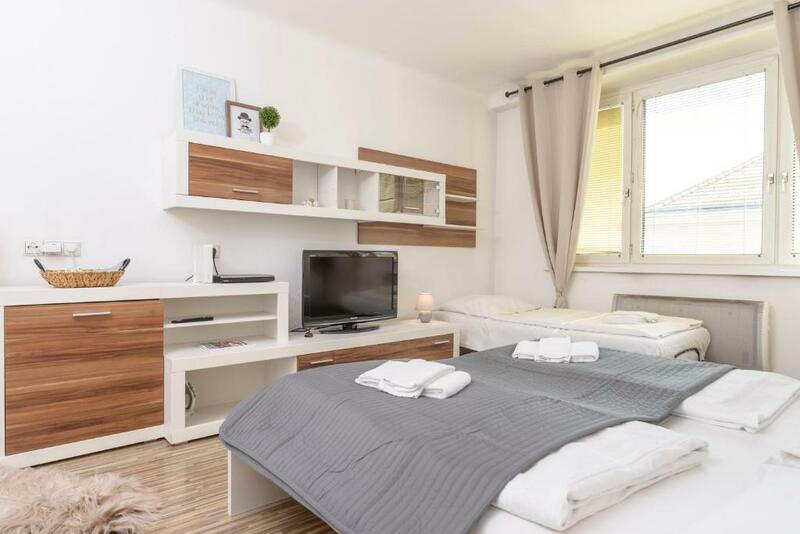 The apartment is strategically located just 7-minute-walk away from the Vienna Central Train Station, connects you with short-distant, regional and international trains, also the metro line U1 and tram lines D, O, 18 and numbers of domestic and international buses making this location very accessible and ideal for exploring inside and around the beautiful city of Vienna. House Rules Kriehubergasse by welcome2vienna takes special requests – add in the next step! A EUR250 damage deposit is required on arrival (around USD278.60). This deposit will be fully refunded 7 days after check-out, as long as there isn't any damage to the property. Please inform Kriehubergasse by welcome2vienna of your expected arrival time in advance. You can use the Special Requests box when booking, or contact the property directly using the contact details in your confirmation. A damage deposit of EUR 250 is required on arrival. That's about 278.60USD. This will be collected by credit card. You should be reimbursed within 7 days of check-out. Your deposit will be refunded in full by credit card, subject to an inspection of the property. The stove wasn't working, there was only an electric little stove that barely heated anything. I would not recommend this property again. 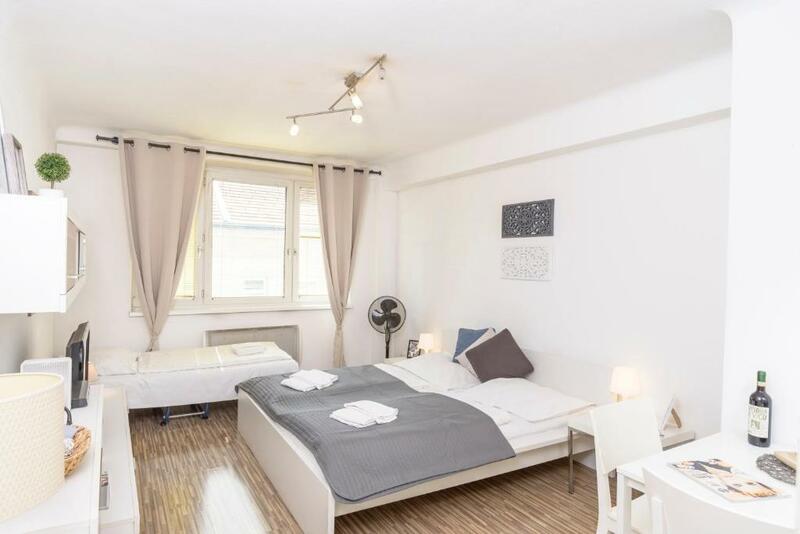 I don't think booking.com have a fair advertisement of the neighbourhood slum this accom is located in. Very disturbing poor area felt very uneasy. The property was ok but would not stay here again due to the dodgy neighbourhood full of homeless people hanging around all of the apartments. Booking.com should remove this property.